Congratulations to our Staff Recognition Awardees! 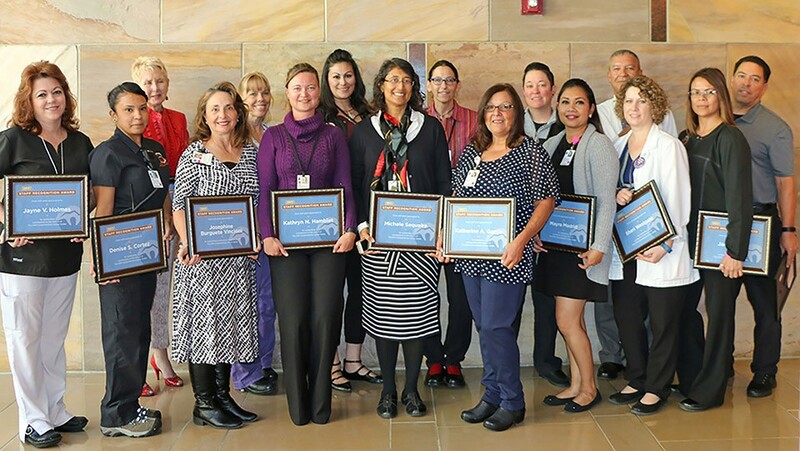 Congratulations to all our Staff Recognition award winners! Angelo Bergamo, Barry Thompson, Brian Case, Candy Okino, Debra Healy, Denise Cortez, Dianne Nielsen, Elsie Wilson, James LaCour, Janet Caro, Janet Ortiz, Jayne Holmes, Jessica Barela, Jessica Mondragon, Josephine”Jo” Burgete Vincioni, Julie Rodriguez, Karen Gaines, Karwyn Gustafson, Katherine “Kathy” Garcia, Kathryn “Nicole” Hamblet, Kayla Grimm, Mayra Madrid, Michael “Mike” Aragon, Michele Sequeira, Mike Ortiz, Raney Weiler, Robert Goodman, Robin Johnston, Sheri Westgate, Terry Novak. (Not all winners are pictured above).